For a quick stretch-of-the legs and a history lesson in engineering head to the Paw Paw Tunnel. My brother took a bike-ride through this tunnel a few years ago and I’ve been wanting to explore it ever since. 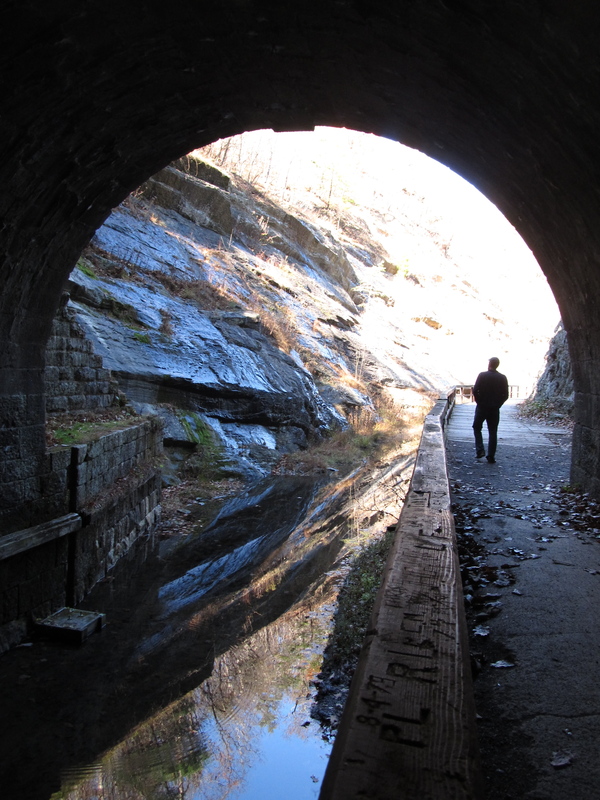 The tunnel is one along the C&O Canal Towpath. 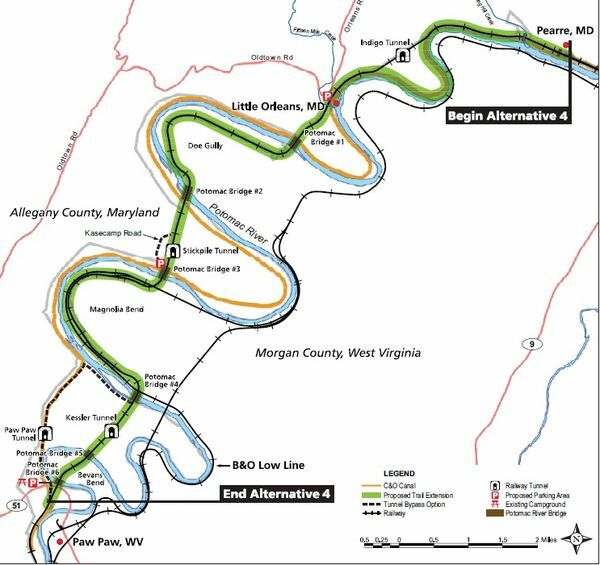 You can do a few-mile loop hike that leads you through the tunnel, and then on a newly prepared trail back to the entry of the tunnel. Bring a flashlight to get through the tunnel though, the worst thing that may happen is stepping in a puddle. The second, higher half offers views down onto the Potomac. Take a trail to the right as you come from the tunnel into the light to access this trail. The U-shaped trail signs are confusing, so be sure to take the trail that is large and cut like an access road. The other trail will lead you high above to areas where fill was left from boring the tunnel. 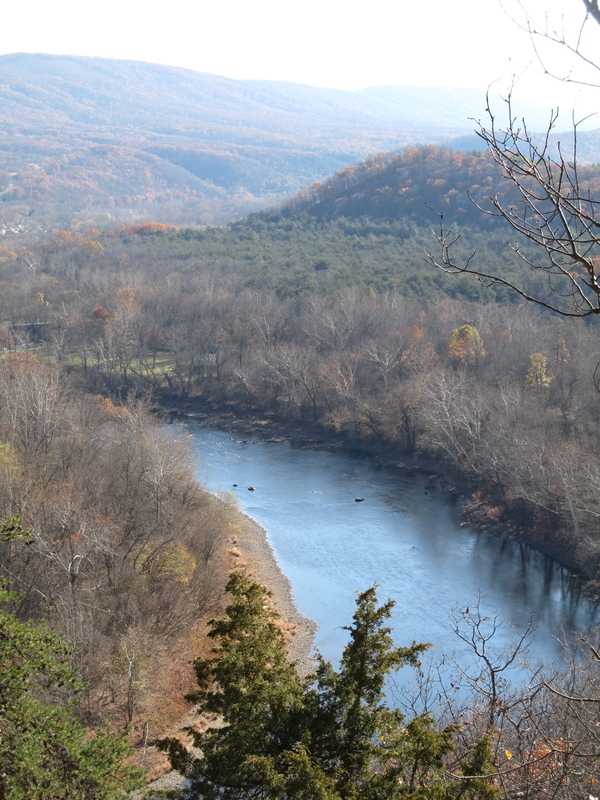 The image below is an overview of the Potomac River in the area. 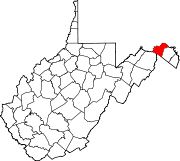 See the lower left side of the image for Paw Paw, WV.